Regardless of which agricultural equipment you operate, we understand what you need and offer the ideal solution for your equipment - ropes for loader wagons, to tedders, rakes or feeding boxes. Beside the fiber ropes for these machines, our product range also includes operating ropes for mowers and pulling ropes for manure scrapers, as well as components for poultry feeding systems. 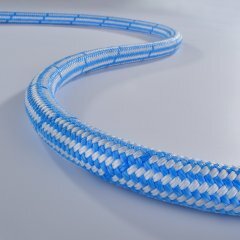 We develop tailor-made solutions and manufacture the perfect rope for each of your applications. Depending on the customers’ requirements, we manufacture rope constructions either with or without cover. 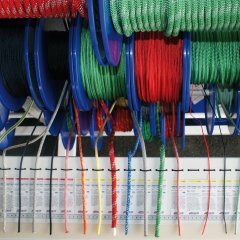 We already have a broad range of ropes for your agricultural equipment. If our product portfolio, however, does not offer the rope you need, we’ll develop it for you. To send us your specific inquiry, please use our contact form. We’ll be happy to optimize this product portfolio from the marine segment for your applications. 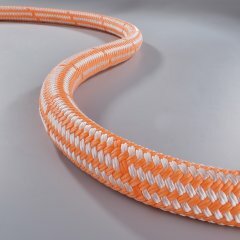 We offer you a flexible design of your ropes as well as various ways of final customization and rope end terminations according to your preference.